Let’s begin this edition of TV Quick Hits with some rather-great news from the Quantico camp — you will be seeing much more of Russell Tovey! According to a new report coming in right now courtesy of Deadline, Tovey is going to be appearing on the Priyanka Chopra series as a regular for season 3 — of course, in the role of Harry. Given that the show is switching over to a new showrunner in Michael Seitzman of Code Black fame, things are going to be a little bit different when the show comes back. Chopra (Alex), Jake McLaughlin (Ryan), Blair Underwood (Owen), and Johanna Braddy (Shelby) are among the other confirmed regulars for the new season. 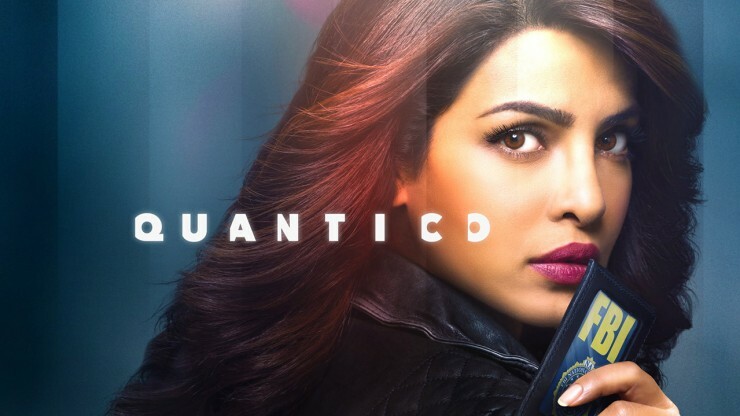 Expect a show that feels very much different when Quantico returns to the air — we’re excited to see it, though we also wonder if any reinvention at this point is going to do much of anything when it comes to turning the show’s ratings around. They struggled mightily over the course of the second season. Toussant is coming onto this show after previously being a part of Rosewood on Fox, and we hope that this gives her an opportunity to do some other fun/exciting things. One of the things that we do personally love about Into the Badlands is that it finds a way to mold both action an artistry; the more great performers who get a chance to experience that, the better off things are going to be. Ozark renewed by Netflix – Just in case you do want to see more of Jason Bateman on a show that is not named Arrested Development, here’s the good news: You’ll get to see more of Ozark. Netflix is bringing back the series, which features Bateman as a man on the run from a Mexican drug lord in the middle of an Ozark community, for a second season. For Bateman fans, there’s obviously a good bit to like here since it gives him more meaty material. For those of you who are here merely for more Arrested Development discussion, just know this: The second season of this show shouldn’t interfere with the comedy by any means. The plans are still very much to continue the Arrested Development story soon with season 5; our hope is that this is actually going to premiere on Netflix in 2018 at some point. U mst be kidding, s3 Quantico? W Harry Doyle? Ralex? Can’t stop it now.